At an exclusive garden party in the up-market surroundings of Beverly Hills, the guest list reads like a Who's Who of Hollywood glitterati. Rubbing shoulders with pop princess Britney Spears is actress Demi Moore and her toyboy, actor Ashton Kutcher. A few yards away, Madonna and husband Guy Ritchie are mingling with top film producers and television executives. Then a hush descends with the entrance of the host, an elderly, bearded man in white robes. Suddenly, the gathering breaks into near- hysterical cheers and excited whooping, with some banging their fists on tables in animated welcome. What unassuming-looking 75-year- old could elicit such a display of unbridled devotion from this ultra-cool audience? Step forward former Brooklyn insurance salesman Feivel Gruberger. Thirty-five years ago, Mr Gruberger changed his name to Philip Berg and, with the help of his mistress, set himself up as the self- proclaimed messianic head of the controversial Kabbalah movement, which promotes an ancient brand of Judaism. It has made him a multimillionaire, with homes in the most exclusive districts of Los Angeles and Manhattan and a lifestyle to match that of his superrich devotees. But below the surface of the celebrity-friendly religion - dubbed 'Dolce and Kabbalah' by some of its many detractors - lurks a far more sinister reality. While David and Victoria Beckham have this week become the latest stars to sport the group's trademark red string bracelet, there are claims that Berg's worldwide network of Kabbalah Centres - including a new branch in London - is a dangerous cult whose converts are brainwashed into handing over their earnings to fund the opulent existence of Berg and his family. Today, the Mail can disclose details of damaging new claims levelled against the sect, including allegations that a dying man was sold thousands of pounds-worth of Berg's 'blessed' mineral water and told to fill his swimming pool with it to cure himself. Added to these charges is an unprecedented attack this week by one of Britain's most senior Jewish clerics, who described Berg as 'fraudulent and dangerous'. So is Berg, who also counts Barbra Streisand, Elizabeth Taylor, Diane Keaton and hotel heiress Paris Hilton among his disciples, prophet or profiteer? I have spoken to many close to Berg - who has christened himself 'The Rav' - including, for the first time, the 'secret' family he left behind when he embarked on his mission to promote Kabbalah. What emerges is the story of a man who rewrote his own history to help him exploit the vulnerable and self-obsessed. He has been transformed from humble preacher to the leader of one of the world's fastest-growing and most controversial religions. Madonna is the most famous convert to Berg's brand of mysticism and last year she gave Pounds 3.65 million to help him open a Kabbalah Centre in London's exclusive Mayfair. She enjoys the personal attention of Berg, his second wife Karen, who is 13 years his junior, and their most trusted disciples. But some former members claim they were put into virtual slavery by his organisation, waiting on their master hand-and-foot. Others are asked to pay ten per cent of their incomes while forking out for overpriced books by the guru and his wife, and being sold everything from mineral water blessed by Berg, at Pounds 2.80 a bottle, to Pounds 90 face creams. The blatant marketing and the demanding of tithes led Jerry Hall to leave Kabbalah, while Stella McCartney has reportedly fallen out with Madonna over the singer's heavy-handed promotion of it to her friends. Indeed, Madonna has been dubbed 'a celebrity recruiting sergeant' for Kabbalah. Philip Berg himself remains an enigmatic figure. Rarely seen in public, few photographs of him exist and he has barely spoken to the Press since setting up his first centre, in Jerusalem in 1969. His background has been shrouded in secrecy. He has two sons, Yehuda, 32, and Michael, 30, from his marriage to Karen, but rumours have persisted that he left behind a family when he changed his identity. In fact, I can reveal that Berg was married with no fewer than eight children when he left his deeply religious wife, Rizka, for Karen, who worked with him in his insurance business. The rift was so painful for his wife, who never remarried, that all but two of their children have refused to have any contact with their father. His first wife died six months ago, still heartbroken. Of course, details of the split are not to be found in Berg's official version of his colourful past. Berg says he went to Israel from his native New York to study with Jewish scholar Rabbi Yehuda Brandwein. Rabbi Brandwein, his first wife's uncle, was at the forefront of the study of the Kabbalah, a hitherto respected, complex and sacred aspect of Jewish lore, studied by only the most learned clerics. Berg did go to Jerusalem, but his motivation was less spiritual than financial. 'My father went to Israel to sell insurance,' Avraham Gruberger, one of his sons from his first marriage, said this week. In his official biography, Berg (describing himself as 'the world's foremost authority on the Kabbalah') says that after studying with Rabbi Brandwein he 'assumed the directorship' of his master's organisation after his death in 1969. But this version of events is disputed by Rabbi Brandwein's son, who insists his father's longestablished seminary 'has no connection, in any way, shape or form' with Berg. Berg's launching of his first Kabbalah Centre coincided with the break-up of his marriage over his affair with Karen, a divorced mother of one who had previously shown little religious inclination. And those who have witnessed their partnership at close hand say Karen is Kabbalah's 'Enforcer' - a tough, savvy, single-minded woman who plays a pivotal part in the sect's organisation. Like her husband, she has written a succession of self-help books, with the promise of improving everything from the reader's sexlife to helping them find love. The books are laden with psychobabble and spiritual quick-fixes, but they have proved irresistible to a succession of followers from the shallow world of showbusiness. 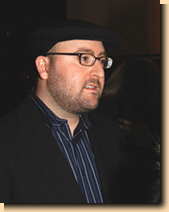 Berg's success has been due to allowing disciples to dispense with the rigorous religious education formerly required to study the Kabbalah, instead employing a user-friendly approach. Followers can practise 20-second 'speed meditation' and are told they can subconsciously understand ancient texts by running their hands over them. They learn that an understanding of Kabbalah can bring them immortality and reverse the ageing process. BERG, who looks every one of his 75 years, has also allowed his most senior rabbis to circulate a rumour that he is, in fact, directly descended from Moses himself. 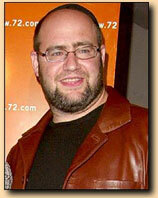 The Kabbalah Centres are controlled by Berg and his wife from their base in Beverly Hills. They have profited very noticeably from what was once designated a non-profit organisation. Two years ago, Berg built three homes in the celebrity enclave, for himself and his two sons. He has been seen arriving for meetings in a or top-of-the-range Mercedes. In New York, he has an apartment near the exclusive Waldorf Astoria hotel - one of the most expensive real estate areas in the world. In 2002, the organisation's assets were estimated to be $23 million, while last year it is reported to have grossed $26 million in Los Angeles alone. According to respected U.S. cult investigator Rick Ross, Berg sold the intellectual property rights to many of his writings and audio tapes to his own Kabbalah Centres, for $2.5 million. 'That was accomplished with the stroke of a pen by simply signing a cheque to himself from Kabbalah funds. He was president and his wife was treasurer,' says Ross. The Bergs are also accused of using Kabbalah Centre money to pay for limousines to take them gambling in Atlantic City. So why, given the increasing chorus of disapproval, do the rich and famous flock to him? The answer lies in Berg's insistence that his followers can make themselves even richer, happier and more successful - and that the red string bracelets he sells them for Pounds 18 can help them overcome their enemies. 'Berg says the red string wards off the "Evil Eye" - people jealous of your position,' says Ross. 'He tells celebrities what they want to hear. He tells them they are not stars by chance, that this is their destiny. 'Many stars are very insecure. Often they did stumble on success by chance and it is reassuring to have someone tell them: "You came to this because it was your preordained destiny." So it gives them a sense of security and wellbeing. 'The Kabbalah Centre, for a celebrity, is like everything else in their life, where people are telling them what they want to hear. It is a sycophantic spiritual experience in that it reinforces their narcissism and self-centredness. The constant message is: "What can I get from God? How can I benefit to become younger, healthier and richer?" It is constantly me, me, me.' ROSS says he is concerned about photographs this week of Posh Spice wearing a Kabbalah bracelet, despite her insistence it is nothing more than a fashion statement. 'I hope that is correct,' he says. 'But that red string is usually a giveaway and it seems Victoria Beckham is at a very vulnerable stage. I think she is an easy target for Kabbalah. Relatively recent converts to the Kabbalah cause have been two of Berg's sons from his first marriage. Despite having no contact with their father for almost 20 years, Avraham and Naftali Gruberger have now sought out Berg and have been reconciled with him. Their decision has met with fierce opposition from their four surviving brothers and sisters, who blame their father for abandoning them and their mother. 'Most of them remained loyal to my mother and she felt very rejected by him,' Avraham says. He admitted his father played no part in paying for the upbringing of his children, but added: 'He told me that when he and my mother divorced he gave a lot of money to a friend which was meant to be for us, but the friend stole it all.' Avraham, who admits to having suffered psychological problems in the past, turned to Kabbalah for help, and his brother was attracted to the religion after he was diagnosed with cancer. Unlike the rest of their family, they too have fallen, it would seem, for Berg's very persuasive brand of preaching. But perhaps the most damning indictment of Berg comes in a scathing attack on his movement by Rabbi Barry Marcus of the Central London Synagogue, a member of Chief Rabbi Jonathan Sacks's Cabinet. 'We feel very strongly that we need to warn people that this is a cult,' he said this week. 'The Chief Rabbi feels that we have a duty to warn all people that it is not what it appears to be. 'They are using techniques found in cults to get people sucked in, and either you will become a worker for them or you will become a constant source of revenue. 'Their centres are in rich areas to attract people with money. There is no spiritual dimension whatsoever. 'I know all about Philip Berg. He lives a lavish lifestyle. I first came across him about 12 years ago in Israel. 'There were these girls who had signed over their flats to his Kabbalah Centre and given up their jobs and businesses and they had been put in a filthy tenement basement in Tel Aviv, while Berg and his wife were living in the penthouse of the and she was having private tennis lessons every morning. 'That's when a lot of people were alerted to the contradiction between his so-called teachings and his lifestyle.' Rabbi Marcus has personally helped two British women 'escape' the cult after they were drawn into the London Kabbalah Centre. 'In particular they try to attract single, unattached women who have some funds, or divorced women,' the Rabbi explained. 'They play on their anxieties, particularly about childbirth and finding a partner. It is insidious and quite shocking. 'One woman, who came to me, was reduced to being almost a slave. They are very aggressive in trying to extract money from people.' So, given these claims and the problems already faced by the Beckhams since allegations of David's affair with his former PA, it is to be hoped that their penchant for wearing the red string of Kabbalah remains purely symbolic of their well- documented love of fashion.